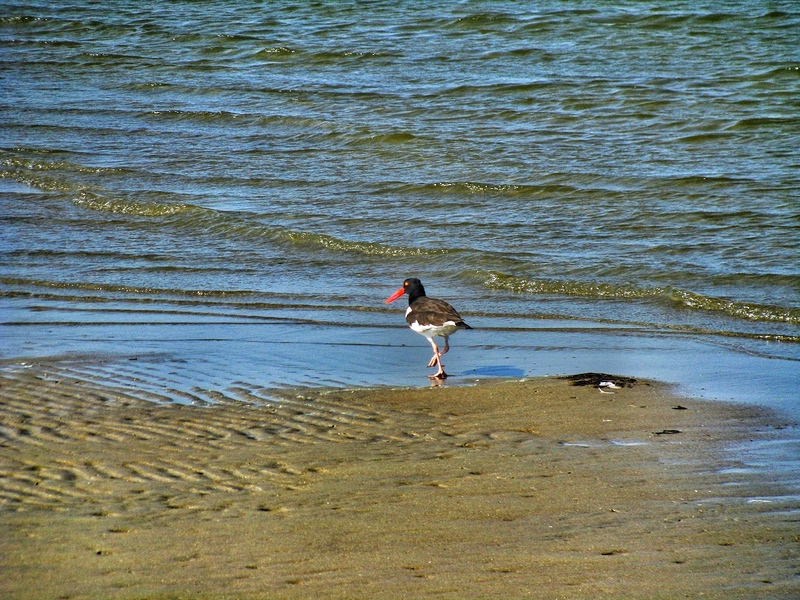 Hey, it’s September 22…not exactly thinking of beaches and sun, right? Well, the weather has been kind so far in the early stages of fall (at least around the eastern corridor) and a particularly nice 85 degree Saturday is always a perfect excuse to go catch some rays. 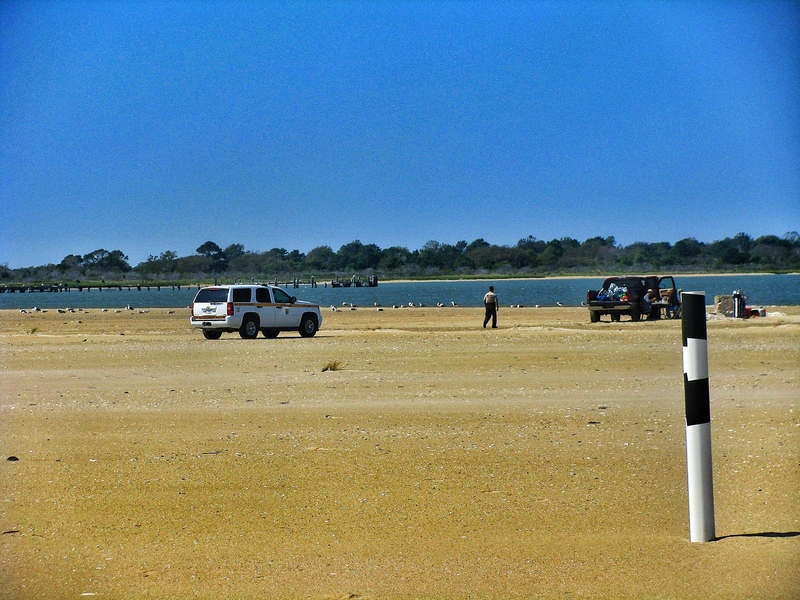 If you followed my blog early last week, you’d know I was on a mission to get to Virginia’s easternmost point, located on the Assateague Island border with Maryland. Unfortunately, without an off-road vehicle and a permit, I’m left with an excruciatingly long round trip hike that would have to start before daybreak to end in the late afternoon hours. Well, that wasn’t happening this day. 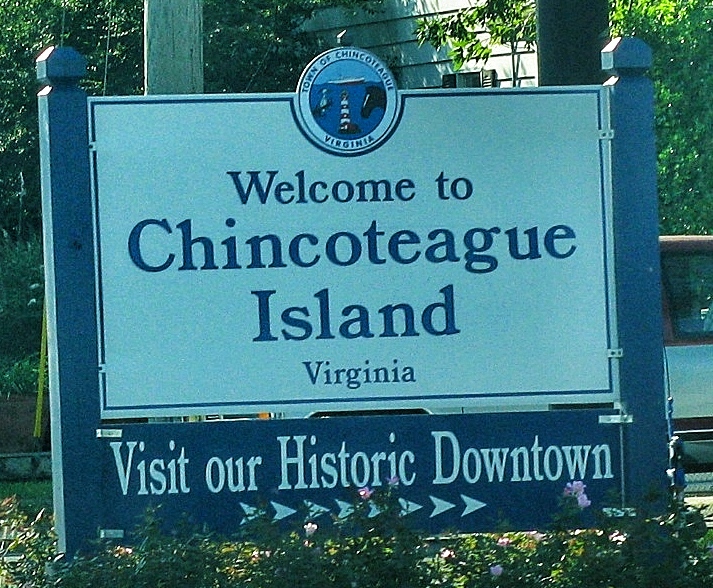 Instead I still made it to the Virginia peninsula and the serene town of Chincoteague Island. My cousin was along for the ride and being the foodie that he is (actually he just pays more attention to his hungry stomach, whereas I generally starve myself on the road) we were able to sample some of the island’s finest. 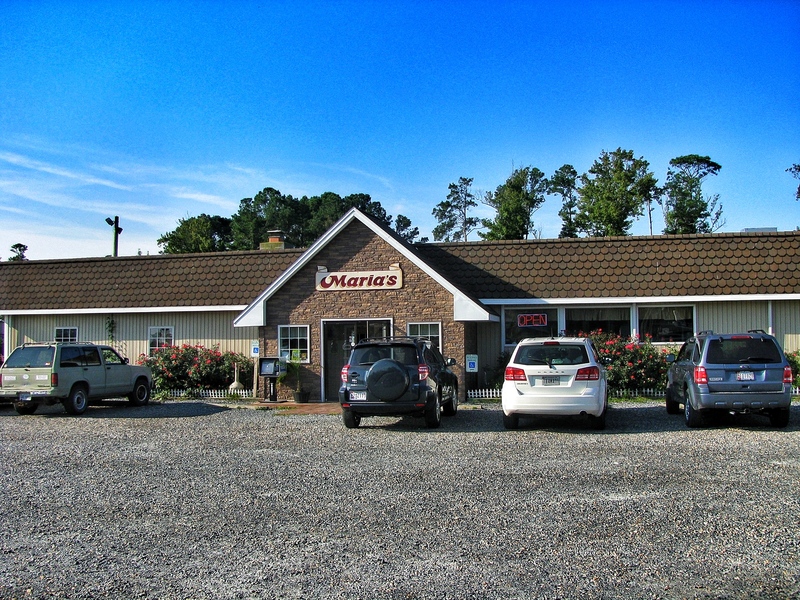 Breakfast buffet buffs and general diner enthusiasts are all set at Maria’s, which serves a heapin’ helpin’ at a nice price. It actually reminded me of this one waffle spot in Myrtle Beach, S.C. that we stopped at last year (and funny enough, a few locals were talking about a recent trip to Myrtle Beach – sister cities, maybe?). On the back end, we sampled Don’s Seafood Restaurant for a late lunch and I enjoyed a decent bowl of the seafood stew. 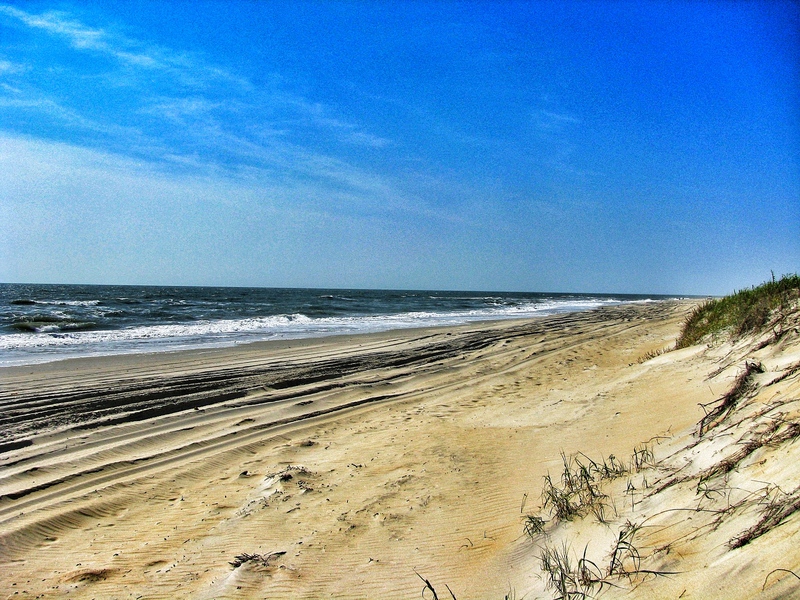 We entered the Chincoteague National Wildlife Refuge with the only plan being to walk out to Tom’s Cove and check out the final southern “hook” of Assateague Island. Now here is where most people get confused. 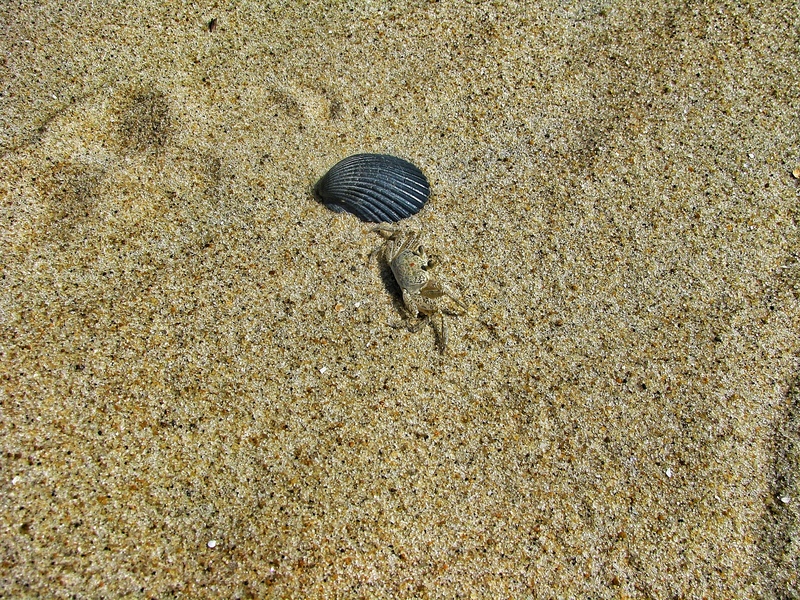 Yes, Assateague Island National Seashore is in Maryland, but a whole 1/3rd of it lies in Virginia territory. 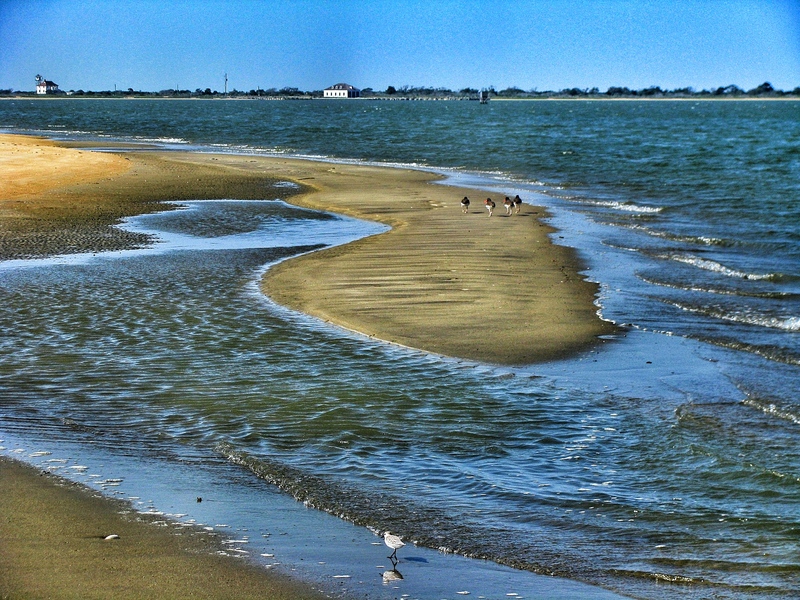 While the most “prominent” parts and the ponies generally reside on the Maryland side, the Virginia side (also called Assateague) is just as picturesque (and they have their ponies too – Misty of Chincoteague being quite famous). 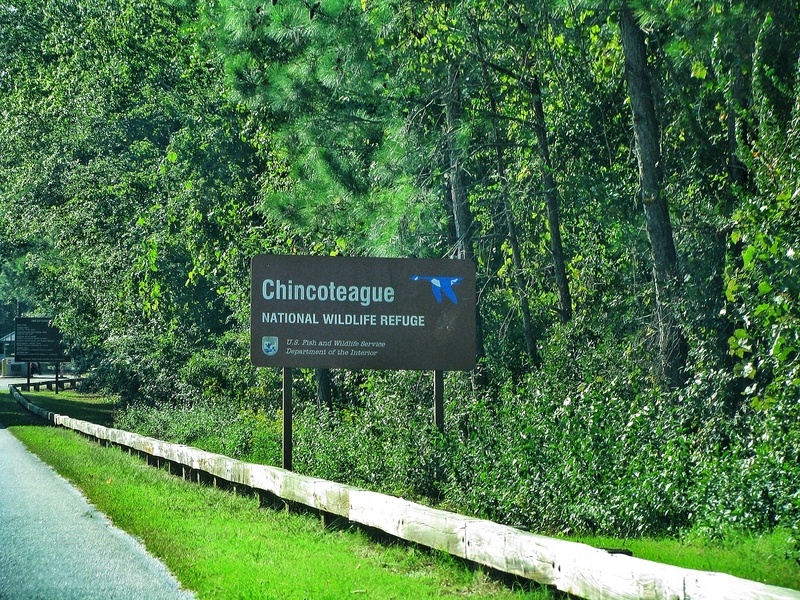 The Chincoteague part mainly applies to the nature refuge and forested areas before the beach (and there is even some overlap here, as a small patch of Chincoteague creeps over into Maryland as well). OK, confused yet? 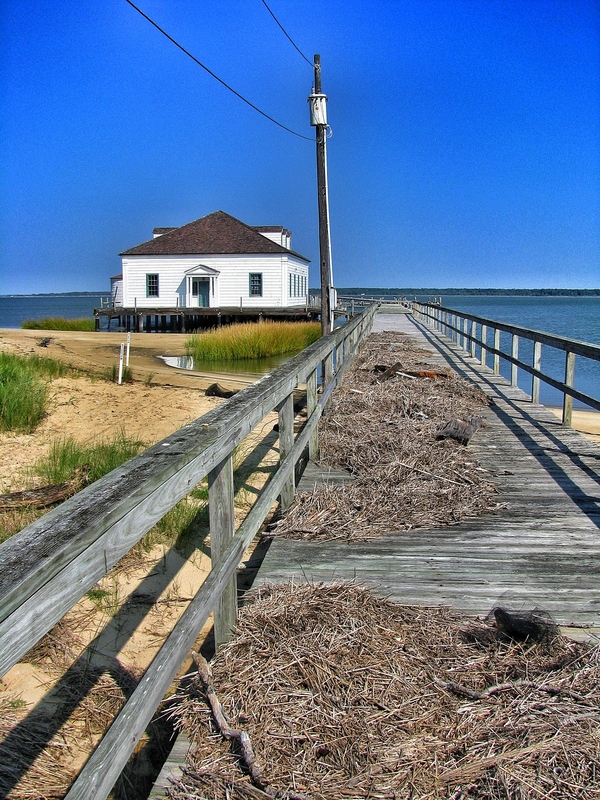 The hook around Tom’s Cove overlooks both the bay (or the cove I should say) and the ocean – a healthy sandbar of sorts. 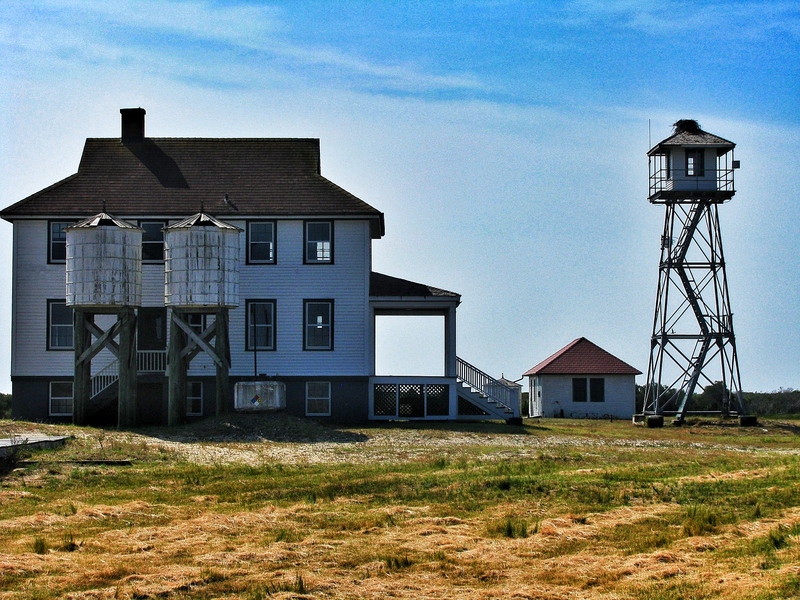 We hiked to the old fishing company building and a former Coast Guard outpost (see headlining photo) that, while appearing relatively new and operational, has apparently been abandoned. It was here we got eaten alive by both ‘skeeters and burrs (don’t walk barefoot) and did the very awkward speed-walk-over-rocks to get to the beach. The surf was out in full force that day, with waves higher than I’ve ever seen on the Delmarva coastline. No boarders were out today and we were the only swimmers around on this tract of the park (though the sand was littered with tire tracks from the weekend fishermen who plow through). In what might be the final swim of the season for me, I was more than happy to take on a few challenging waves and some light beach traffic. 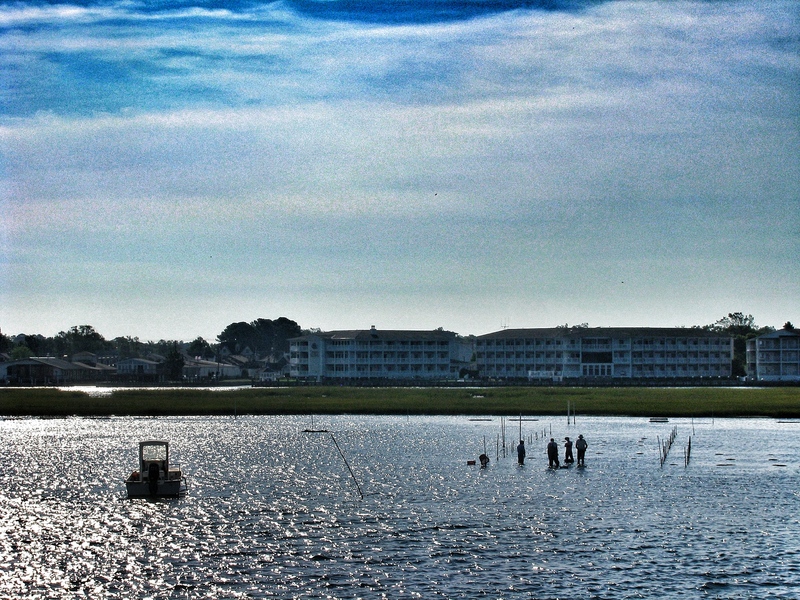 For someone who has spent many a summer day on Delaware beaches, it was both familiar and refreshing to take in a day at Chincoteague. I’ll tackle that easternmost point some day, but the park certainly has a lot more to offer than a goofy little lesson in geography. Get excited! Another photo of a sign!